The Speaker of Milli Majlis [Azerbaijani Parliament] Ogtay Asadov heads the Azerbaijani delegation in the 3rd meeting of the Parliamentary Assembly of GUAM (Georgia, Ukraine, Azerbaijan and Moldavia). The meeting is held in Kishinev on October 14-15, Trend reports quoting the Press-Service of Milli Majlis. The composition of the delegation includes Deputies Elman Mammadov, Fufat Guliyev, Elton Mammadov, Head of Parliament Apparat Safa Mirzoyev and other senior officials. 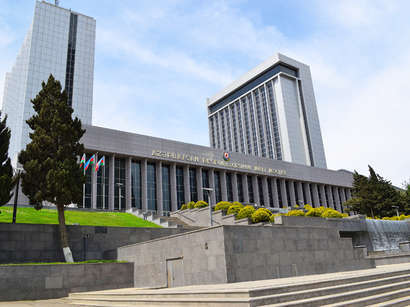 The meeting of the Parliamentary Assembly will cover the prospects of development of the co-operation between the GUAM member-countries, activation of the efforts of the international community and GUAM member-countries to regulate the frozen conflicts, development of the inter-parliamentary co-operation to ensure the legislative base of joint projects and other issues. Asadov is expected to make a speech in the meeting and meet with the heads of the delegations.